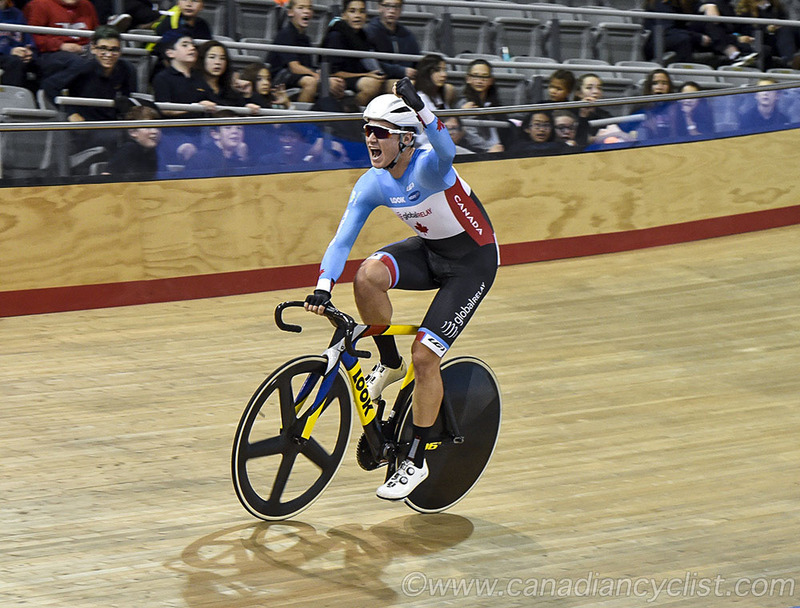 The 11-nation Milton International Challenge p/b Lexus track competition opened on Thursday with four countries recording victories, led by host Canada's three wins. Seven different nations were represented on the podiums for six medal ceremonies. Canada won the first medals of the Challenge with a 1-2 finish in the Women's Elimination Race, with Team Canada's Kinley Gibson outsprinting team mate Ariane Bonhomme. Denmark's Trine Schmidt finished third. 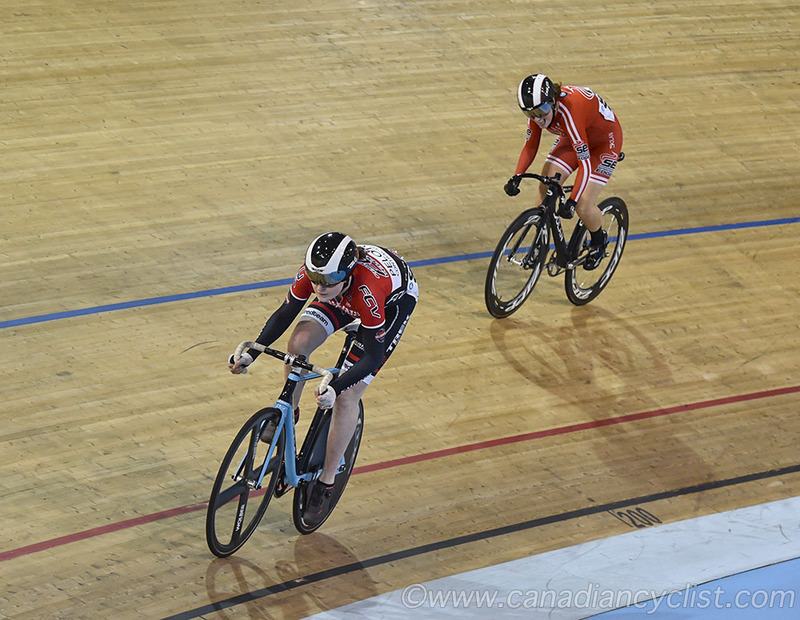 Canada also won the Men's Elimination, with Canadian Omnium champion Aidan Caves (Team Canada) holding off American rider Zachary Kovalcik (Black Lodge Cycling). Ryo Chikatani of the Japanese national team took third. In the Women's 500 metre Time Trial, Rio Olympian Laurine van Riessen of the Netherlands was the only rider to go below 36 seconds, with a winning time of 35.869 seconds. 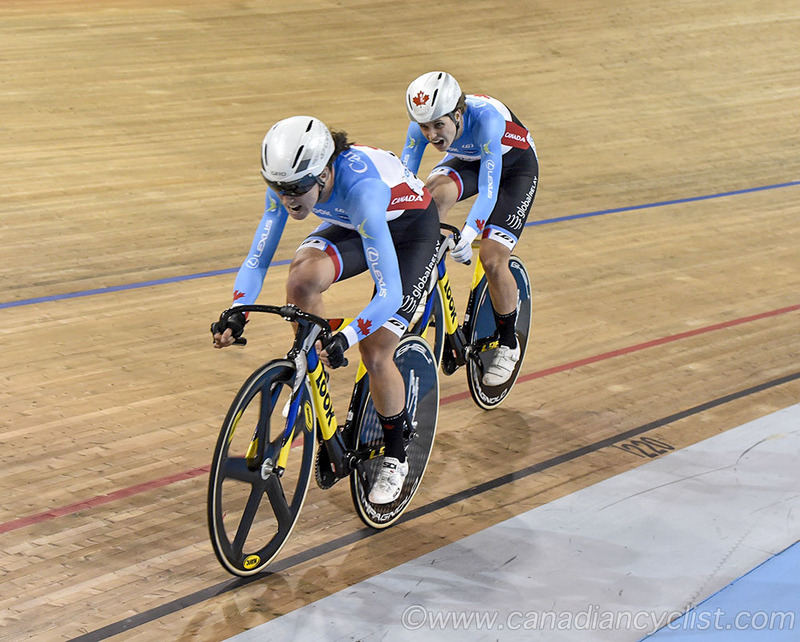 Robyn Stewart (Glasgow Sprint Track Cycling) was second at 36.904 seconds and Lauriane Genest (Equipe du Quebec) third at 36.967 seconds. The Men's 1000 metre Time Trial was won by Scottish rider Jonathan Mitchell (Billy Bilsland Cycles) with a time of one minute and 4.728 seconds. Mika Simola, racing for Finland, took second with 1:05.412, and Canadian rider Bayley Simpson (Team RaceClean) was third at 1:06.407. 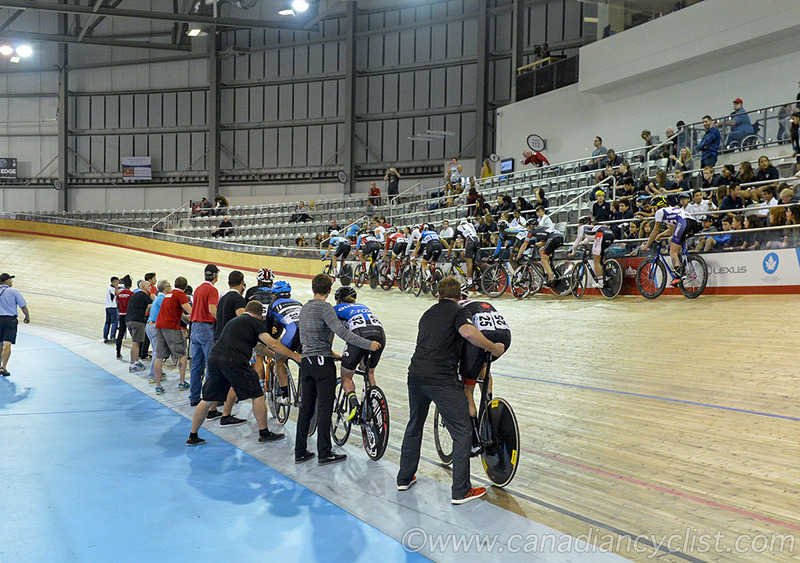 The final two titles were awarded in the Junior Sprint competitions, with Canada's Charlotte Creswicke (Kallisto-FCV p/b Toyo Tires) outsprinting American Marcy Bardman (Sprinters Edge) in the women's competition. 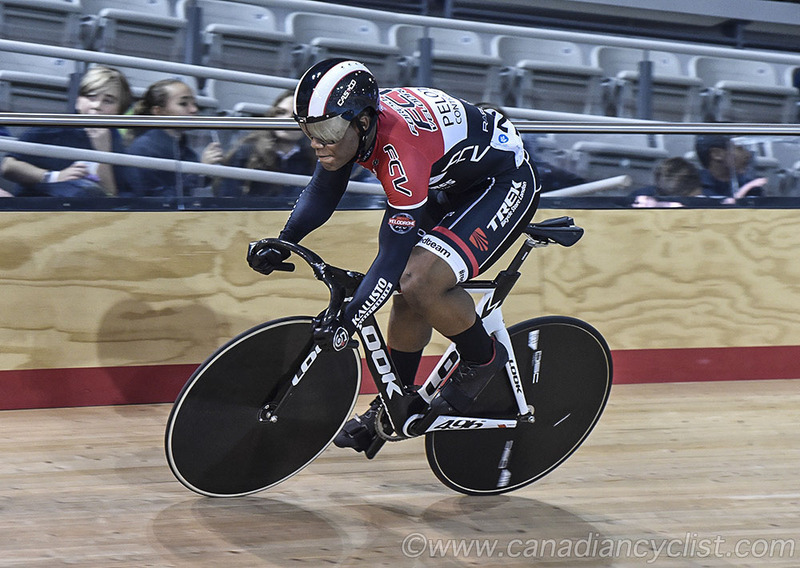 Trinidad and Tobago's Je'land Sydney (Kallisto-FCV p/b Toyo Tires) won the men's competition ahead of Canadian Nick Wammes (Kallisto-FCV p/b Toyo Tires). Racing continues on Friday at 11:30 am, followed by a 7:30 pm evening session, and concludes on Saturday with the final two sessions. The Milton International Challenge p/b Lexus offers a rare opportunity for Canadian fans to see world class competition in their own backyard. Parking is free.